American Scientist - Magazine of Sigma XI, a scientific research society. APS News - American Physical Society news. arXiv - Open access to over 905,497 e-prints in physics, mathematics, computer science, quantitative biology, quantitative finance and statistics. BBC Knowledge Magazine - Science, history and nature. BBC Science - The best of BBC Science, from TV and radio, to the web and beyond. Berkeley Lab Research Review Magazine - News releases, the lab's online and print magazines, its newspaper, and an extensive archive of science articles. bioGraphic - A multimedia magazine powered by the California Academy of Sciences created to showcase both the wonder of nature and the most promising approaches to sustaining life on Earth. 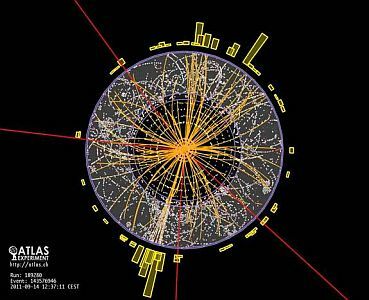 bottomquark - Science and technology news and discussion. Cell - Publishing 26 issues of the most interesting discoveries in biology every year, including an annual Review Issue. Every paper published in Cell is freely available starting 12 months after publication. Cell publishes findings of unusual significance in any area of experimental biology, including but not limited to cell biology, molecular biology, neuroscience, immunology, virology and microbiology, cancer, human genetics, systems biology, signaling, and disease. EarthSky - Science interviews and other audio and video content. EarthSky has 1,000+ global science advisors - experts in every field of study - who suggest topics, review content, and provide ongoing help. EPJ Data Science - Topics include, but are not limited to, human behavior, social interaction (including animal societies), economic and financial systems, management and business networks, socio-technical infrastructure, health and environmental systems, the science of science, as well as general risk and crisis scenario forecasting up to and including policy advice. EurekAlert - An online science news service, sponsored by AAAS, the science society. It features health, science and technology news from leading research institutes. Extreme Science - Science news, features and resources. Gary Marcus - Marcus, a professor at N.Y.U. and author of Guitar Zero: The Science of Becoming Musical At Any Age, writes for The New Yorker about the facts and fictions of neuroscience, moral machines, what needs to be done to clean up science, and the like. GCN - Technology, tools and tactics for public sectgor IT. GrrlScientist - An evolutionary biologist and ornithologist who writes about evolution, ethology and ecology, especially in birds. Hosted by Guardian UK. HarvardScience - Latest news about science and engineering at Harvard University. IEEE Spectrum Magazine - The flagship publication of the IEEE, the world's largest professional technology association. For technology innovators, business leaders, and the intellectually curious, Spectrum explores future technology trends and the impact of those trends on society and business. In Focus - Features the activities of the National Academies, which serve as independent advisers to the federal government on scientific and technical questions of national importance. Incubator, The - Conversations about science. A blog run by The Rockefeller University community. IOPscience - An online service for journal content published by IOP Publishing. IOPscience embraces innovative technologies to make it easier for researchers to access scientific, technical and medical content. iSGTW - An international weekly online publication that covers distributed computing and the research it enables. Regularly feature articles on distributed computing-enabled research in a large variety of disciplines, including physics, biology, sociology, earth sciences, archaeology, medicine, disaster management, crime, and art. it is NOT junk - Michael Eisen's blog "about genomes, DNA, evolution, open science, baseball and other important things. Journal of Visualized Experiments (JoVE) - A peer reviewed, free access, online journal devoted to the publication of biological research in a video format. KQED: Science - Follow KQED Public Media's science and environmental coverage from Climate Watch and QUEST, as well as PBS and NPR shows like NOVA, Nature and Science Friday. Livescience - Developments in science, space, technology, health, and the environment. MIT News - Promoting Massachusetts Institute of Technology's research, innovations, teaching and newsworthy events and people. naturalSCIENCE - Science, web links, book reviews, commentary, articles, interviews. Nautilus - Each issue combines the sciences, culture and philosophy into a single story told by the world's leading thinkers and writers. New York Times: Science - Topical index to NYT coverage of science. New York Times: Scientists at Work - Notes from the field. NOAA News - From the National Oceanic and Atmospheric Administration. On Earth - Explores the contemporary environmental landscape through the lenses of science, public health, technology, culture, business, food, and politics. Published by the Natural Resources Defense Council (NRDC). Pacific Standard - The science of society: Politics, health, economy, environment, culture, education. Phenomena - A science salon hosted by National Geographic Magazine. Phys.org: Technology - Technology news channel. 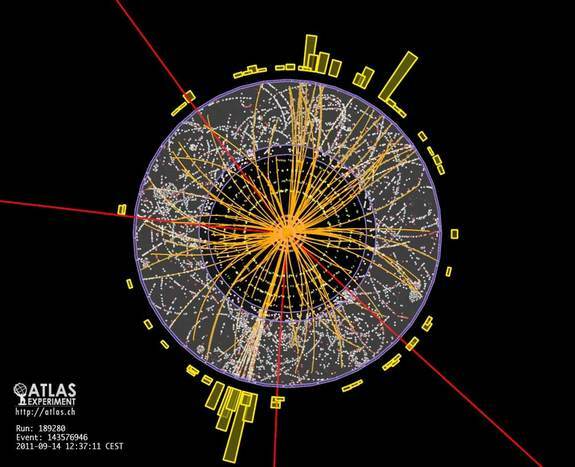 Physics World - Global physics news and information. Planet Ark - Environment news. Proceedings of the National Academy of Sciences (PNAS) - PNAS is one of the world's most-cited multidisciplinary scientific serials. Since its establishment in 1914, it continues to publish cutting-edge research reports, commentaries, reviews, perspectives, colloquium papers, and actions of the Academy. Coverage in PNAS spans the biological, physical, and social sciences. PNAS is published weekly in print, and daily online in PNAS Early Edition. R&D - News and information for the research and development community. Red Herring - Daily technology news service. RedOrbit - Space, science, and technology news and information. Royal Society, The - Publishes seven journals, covering the biological and physical sciences, as well as the history and philosophy of science. This site provides a range of services and facilities including access to the Society's journals, news of recently published science and the opportunity to buy our publications online. scenta - Provides science, engineering and technology content from leading industry, academic and institutional players. Sci-Math World - Tools to help locate science and math information. SciDev Net - News, views and information about science, technology and the developing world. Science 2.0 - An open science writing network. Creates a place where world-class scientists write articles and discuss issues without being filtered by size or editorial limitations, where there are no political or cultural agendas, and the audience can read great science directly from the sources and maybe learn some new things. Science à GoGo - Science news. Science Advances - Research in life, physical, space and social sciences. Science Alert - Sharing knowledge, promoting science. Science and Diplomacy - A policy quarterly from the AAAS Center for Science Diplomacy that provides analysis and insight on the intersection of international relations, science, and foreign policy. Science and Technology Review - Livermore National Laboratory publication. Science Signaling - Journal of cell signaling in physiology and disease. Publishes key findings in the field of cell signaling and articles and online resources providing insight into cellular regulatory processes. sciencebase - Chemical-biomedical science news. Sciencebase - David Bradley's science blog. Scientific American Frontiers - The PBS series. Scientists As Citizens - Kathy Barker's blog. Sciverse - Perform advanced searches across ScienceDirect and Scopus content, and web content. Sciverse ScienceDirect - A leading full-text scientific database offering journal articles and book chapters from more than 2,500 peer-reviewed journals and more than 11,000 books. Sciverse Scopus - World's largest abstract and citation database of peer-reviewed literature with smart tools that track, analyze and visualize research. Seed - Popular science magazine. Slashdot - News for nerds. Also see science.slashdot.org. The H Word - Science blog maintained by Rebekah Higgitt at the Guardian/UK. Features stories on the history of science, instruments, institutions and museums. WRALtechwire - Technology and life science news. This webpage last updated on Friday, October 6, 2017 3:47 PM.